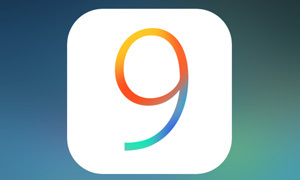 Apple will be rolling out iOS 9 soon, with what's sure to be a bunch of awesome new features. One of the most important features for us, and for our iOS publishers, is the App Transport Security (ATS), which enhances security on iPhone devices and encourages iOS app developers to use secured connections when communicating with their servers. Smaato is actively testing its iOS advertising SDK on iOS 9 beta, and we’re happy to announce that our latest iOS SDK version 7.1.4 has successfully passed all our tests and therefore is compatible with the upcoming iOS 9 release. In recent years, we’ve all seen the explosive growth of the mobile app economy. From 2007 on, the number of smartphones and apps present on those smartphones have accelerated year over year at astounding rates. The total number of apps downloaded continues to grow rapidly even though, according to recent statistics, the number of apps downloaded per person is beginning to stabilize. The major driver of the continued rapid download growth is primarily the wide variety of devices available to the mobile consumer. In the previous version of the Smaato Ad Tag (v2.0), the solution supported regular ads with a large variety of dimensions (small, medium and large) and formats (text, image and rich media). Starting today, Smaato’s Ad Tag solution has been updated to give mobile web developers additional ways to show ads on their mobile website pages via full screen, or “interstitial”, ads.